Is everything that goes on in your mind really you? Perhaps not, says Australian psychic researcher Robert Bruce. Drawing on more than two decades of firsthand research and experience, Bruce reports that our minds are subject to influences from many unseen spiritual sources. Some of these can influence how we think, feel, act, and even how our bodies function. They can make us unhappy, irritable, confused, sick, unstable, even crazy. This is why we need practical tools and countermeasures for psychic self-defense, all of which Bruce provides. 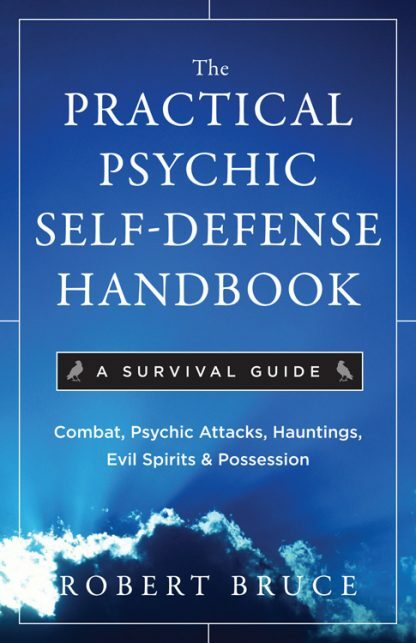 This is the ultimate guide to combating the influences of earthbound spirits, deranged ghosts, astral snakes and spiders, demonic spirits, and poltergeists. This is a highly anecdotal and comprehensive practical guide to the dark side of the psychic universe.